I couldn’t decide which tradition to photograph for this week’s theme. We have a few things that we do every year for the holidays and now we have just started our new tradition of the “Elf of the Shelf”. One thought was to photograph the turtle doves on our Christmas tree that Mike gave me nearly 17 years ago on Christmas morning during our honeymoon in Jamaica. 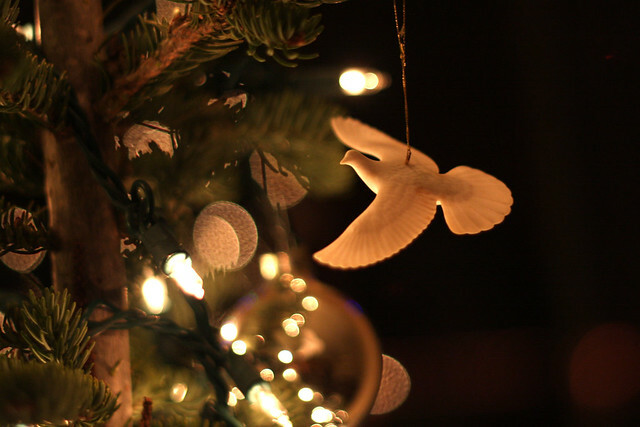 There are two turtle dove ornaments, one for each of us to put on the tree. The idea was inspired from Home Alone 2. A little corny, but very sweet. The quote from Mr. Duncan the toy story owner who gave the turtle doves to Kevin is below. Mr. E.F. Duncan, Owner Duncan’s Toy Chest: Well, two Turtle Doves. I’ll tell you what you do: you keep one, and you give the other one to a very special person. You see, Turtle Doves are a symbol of friendship and love. And as long as each of you has your Turtle Dove, you’ll be friends forever. I did take this picture two years ago of one of the turtle doves. 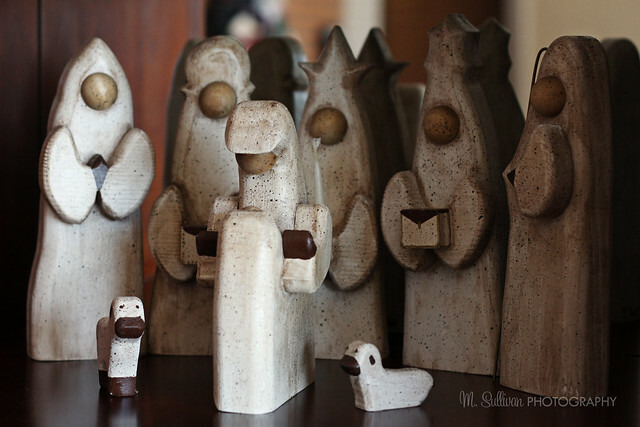 Another thought was to photograph the beautiful wooden hand-carved nativity set that we put out each year. Also a wedding present. We received a number of wedding gifts that are holiday-related. That’s what happens when you get married a week before Christmas. I love setting this up every year. Although I don’t ever know if I have everyone in the proper place. 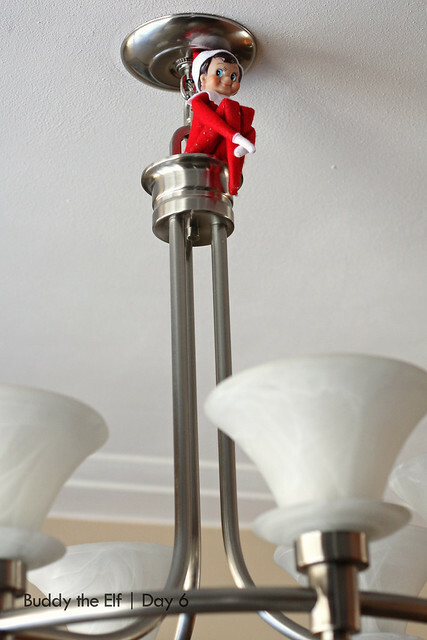 I finally settled on our new tradition, Elf on the Shelf. Who can resist those cheerful blue eyes and rosy red cheeks? 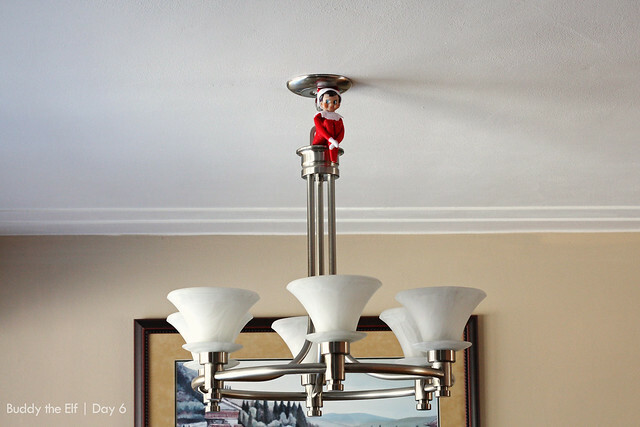 Buddy had a great hiding spot today – day #7. Come back soon to see where he ended up.